We have storage servers for backup purposes, so, you can restore & backup your websites at any time. You can restore your website at any time because we don’t delete files! Malware Scan: All hosting plans come with CSF and LFD firewalls and a real-time malware and virus scanner directly inside cPanel. Plus brute-force detection as an added layer of security! Website secured with free SSL certificates! Free DDoS protection, yes, any kind of websites will be protected. I am a professional WordPress blogger, thus, I know what problems you may face. ** This is AUTO SSL, you do not need to do any SSL certificate Installation! Terms Of Services - Visit Here! Acceptable Use Policy(AUP) - Visit Here! Q: Did your server provide daily backup of every cPanel data? A: Yes we provide Daily / Weekly / Monthly backup. And we soon will provide a better version of backup that is not exist anywhere that will let our clients restore their websites with one click. Q: I do not know how to change the Nameserver? A: Message me through SEOclerks inbox. A: Message me through SEOclerks inbox or read attached file.? Q: What is high CPU usage, will my account suspended if I used it? A: The account will get an instant suspension. The difference between CPU and Bandwidth is, the CPU cores and entry process, and the related to CPU things is different than the bandwidth that's related to the network traffic and visitors. High CPU code is happened due to, an error with a plugin or the plugin itself is using high CPU and eating the resources so fast. So eating the CPU code be used from both plugins and visitors, but we have a website that received millions of visitors without any issues. But if you have a plugin that resources and CPU and your website are receiving the same amount of visitors this maybe lead a down in the main server. or a down in your website itself if the server is using the cloudLinux technology. Thus, we advise you to regularly backup your data/cPanel/WordPress to avoid immediate suspension. Q: How many websites can I add to the basic package? A: You can as many websites(Unlimited Addon Domains) including subdomains to all packages, be it basic, pro or deluxe. A: Thousands domain hosted on our shared hosting environment. Unsolicited commercial advertisements (‘SPAM’) and bulk send email are not allowed in e-mail, and will likely result in service termination. So, we take a zero-tolerance approach to SPAM originating from its servers or for spam advertising of domains hosted within our network. If found, YOUR account may be suspended, if no action within 24 hours your account get termination and no refund. Q: How long does it take for your support to do the migration? Approximate time? A: This depends on how many websites you are going to migrate, We have fasts SSD disks, also we have raid 10 hard disks both have a great speed. But if you have many websites for example 50 websites and every website have 1 GB storage. 50 websites = 50GB we can do a restoration in just 40 minutes! But if you want us to do the migration, for example, a website with 5GB Space this won't take 5 Minutes ( From the time our staff starts the migration ). Please take note, after you sent details to us, no change can be made. So, confirm 100% from your end. Q: Virus scanning is missing? So, to solve the problem, this is the only way to make everyone happy. Q: If I am not happy with the hosting in New York, can you change to other location? 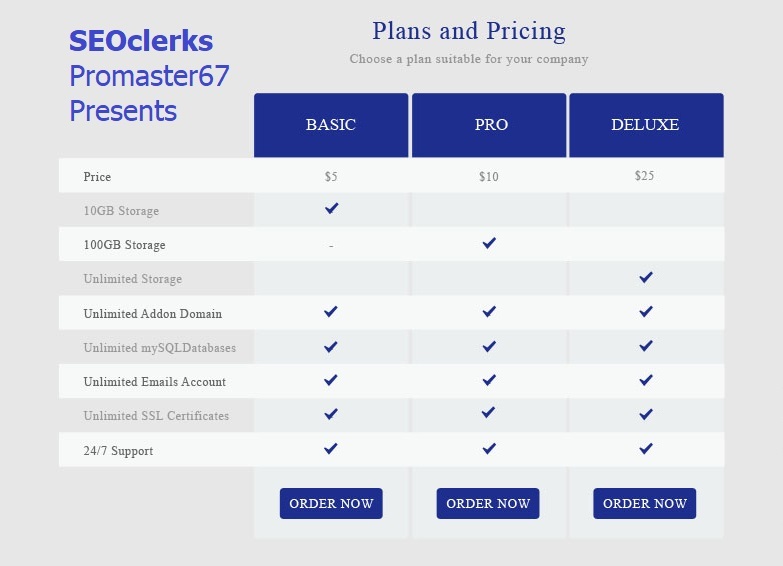 A: Sure, we will change it to a different location, the same price, and specs(According to the service offered - https://www.seoclerks.com/shared-w...anel-SSD-Hosting & Vice-versa...). We will adjust the date different with our professional excel spreadsheet controller. A client without providing a valid domain will be canceled and refunded. Kindly take note that the changing of the master domain not including addon domain. The changing is only to a single domain - Main domain. That is an additional fee of $5 for the changing. Check the extras for this service. So, please consider using your best domain as a master domain for the hosting. I will Install Free SSL Certificate With Lifetime Renewable in 24hrs but on one condition. Your domain must be already propagated to be ready or showing up online. Near To 100% Up And Running Server! - Click Here To Find Out! Visit here to view the current time in Kuala Lumpur and see if I am available for these hours. Orders will not be processed outside these hours which can be viewed by checking here If you have a question please INBOX me. * I will put all info into the "Excel" including your domain registered and expired date. The US SSD Shared Hosting Server With Auto SSL is ranked 5 out of 5. Based on 5 user reviews.